It's time to Dominate Google, Increase your visits, skyroket Your Ranking, and explode yourTraffic and Leads with Our Premium package. Social bookmarking is a very powerful way to get noticed and a far superior SEO technique to increase your Page Rank. Buy this Gig to give your webpage that extra boost to increase your ranking and page PR. This social bookmarking service is the best way to dominate the Google results page. We will submit your website to over 300 high quality websites so you can improve your SEO backlink profile fast. With this Package we'll submit your URL to +400 Ping All of them! Best Whitehat & NATURAL technique combined to Spinned Title & Description Will bring higher GOOGLE RANK.What are you waiting to Get that Premium SEO Boost?! All Links will be Pinged! It's Time to Dominate your competition! 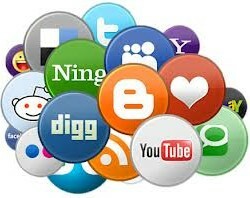 add ping your site to 400 social bookmark Premium quality backlinks is ranked 5 out of 5. Based on 341 user reviews.